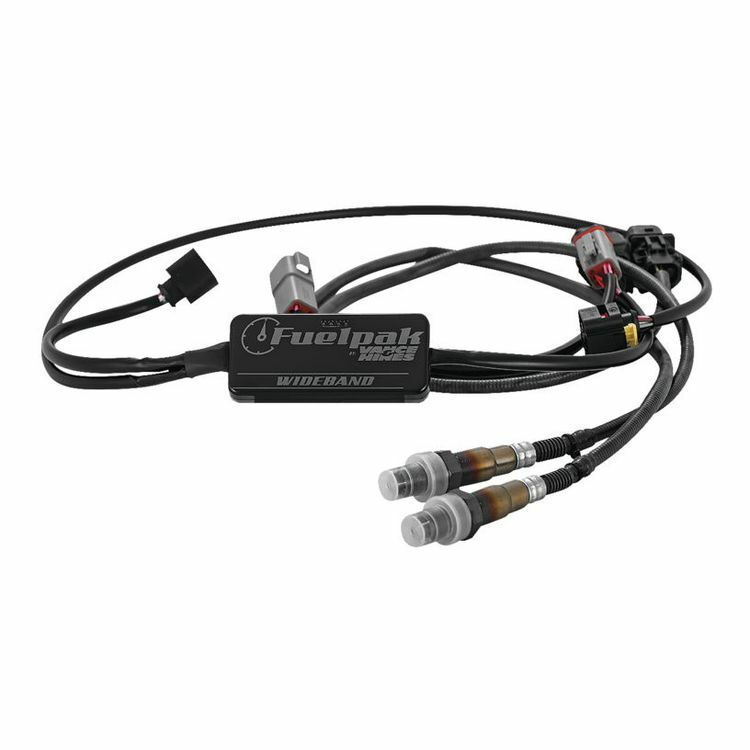 Consisting of two 18mm wideband Bosch oxygen sensors and a control module, the Fuelpak Pro Wideband Tuning Kit is a quick plug-and-play setup, installing in-line between an FP3 and motorcycle to add wideband tuning capabilities for FP3 autotuning sessions on the dyno. Once an FP3 is connected to the motorcycle through the Fuelpak Pro Wideband Kit, a whole new set of features are unlocked in the FP3 app software. The AutoTune feature becomes more powerful, collecting four times more data with greater accuracy to enable full mapping sessions to be completed in as little as 15 minutes. This product is intended for customers and dealerships with in depth dyno knowledge, ready to make the absolute most of their bike. Dyno-ing skills are required.